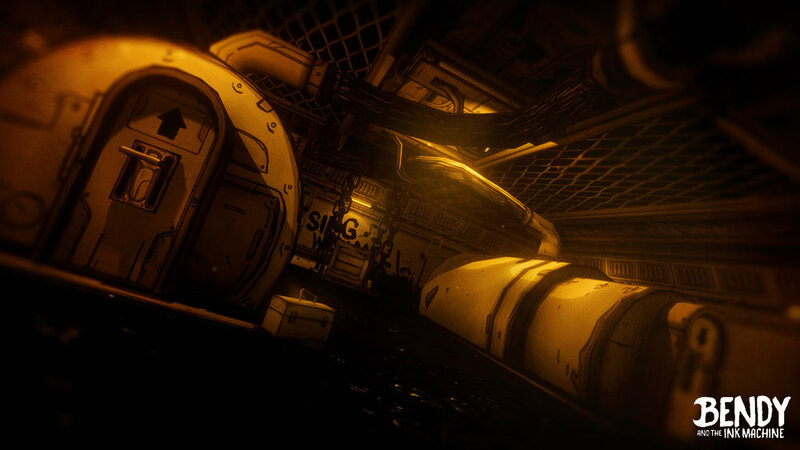 "Bendy and the Ink Machine™" (BATIM) is an episodic first person puzzle action horror game that begins in the far days past of animation and ends in a very dark future. Play as Henry as he revisits the demons of his past by exploring the abandoned animator's workshop of Joey Drew Studios. 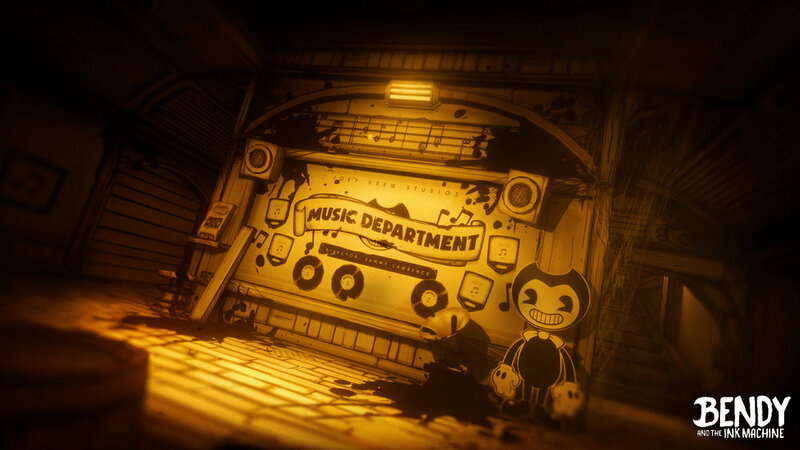 With twists and turns around every corner, "Bendy and the Ink Machine" is sure to thrill you... and decimate your childhood. You'll never look at cartoons the same way again. Available for iOS, Android, Playstation PS4, XBOX ONE, Nintendo Switch and PC and MAC on Steam. Chapter One released on Feb 10th, 2017. Chapter Two DLC and Chapter One Remastered Edition released April 18, 2017. Chapter Three DLC and Chapter One and Two Remastered Editions released Sept 28th, 2017. Chapter Four DLC and Chapters One, Two and Three Remastered Editions released April 30th, 2018. Chapter Five and the Complete Edition released October 26th, 2018. Console version released by publisher Rooster Teeth on November 20th, 2018. Mobile version released on December 21st, 2018. 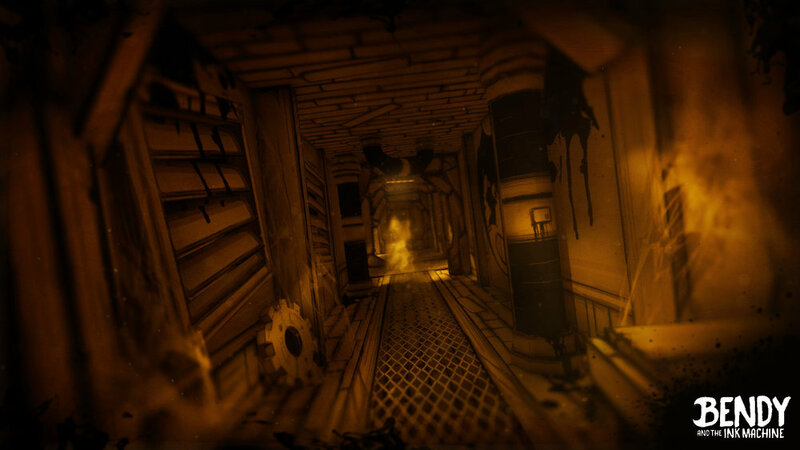 Joey Drew Studios Inc. is known for their unique and atmospheric gaming experiences. Through the use of inventive original characters and innovative storytelling, they craft games for gamers both old and new. Pairing dark themes with humorous twists, every game is an adventure. Joey Drew Studios Inc. was founded by TheMeatly (Art Director, Game Designer) and Mike Mood (Lead Programmer, CEO) in 2015 and instantly became a fan favorite with their small game title, "MeatlyMakes", based on the theMeatly comics. 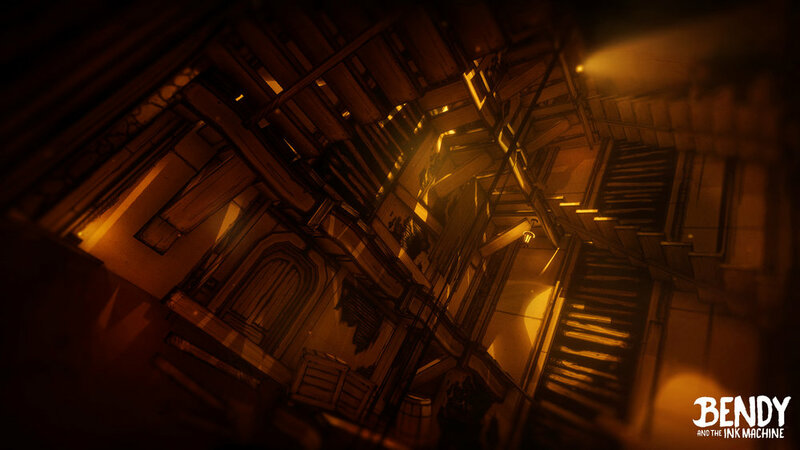 In 2017, Joey Drew Studios Inc. launched the first chapter of "Bendy and the Ink Machine" to worldwide acclaim. IGN - IGN's Best Horror Games of the Year!